The Propane Education and Research Council (PERC) was established to assist in the training of those working in the propane industry, to educate the general public about propane and why it is a viable energy source, and to develop new technologies for the expansion of propane use. PERC is an organization operated and funded by the propane industry. Their website includes education materials about all the benefits and uses for our domestic, cleaner burning fuel. 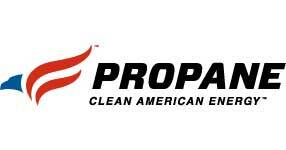 To learn more about propane and all its advantages, visit PERC’s website. ARRO Autogas is a proud member of both the Western Propane Gas Association (WPGA) and the National Propane Gas Association (NPGA). Both are trade organizations comprised of propane industry members focused on furthering the education of our policy makers and customers on the benefits of our fuel. To learn more about the services provided by WPGA and NPGA; please visit their websites. The Clean Cities program is put forth by the United States Department of Energy with the purpose of reducing the use of traditional fuels (gasoline and diesel) in the transportation sector to improve the economic and environmental landscape of our nation. There are nearly 100 clean cities coalitions around the country focused on grass roots efforts to put more alternative fuel vehicles on the road. ARRO Autogas is proud to be a member of all the clean cities coalitions established in the areas we operate. For more information about your local clean cities coalition, please visit the D.O.E website. The Alternative Fuels Data Center (AFDC) is a resource for fleet managers and other decision makers to find more information about available alternative fuel options. They provide data and information about all options and provide a comprehensive list of all alternative fuel stations throughout the country. Please visit the AFDC website to learn more. This program is also put forth by the United States Department of Energy.